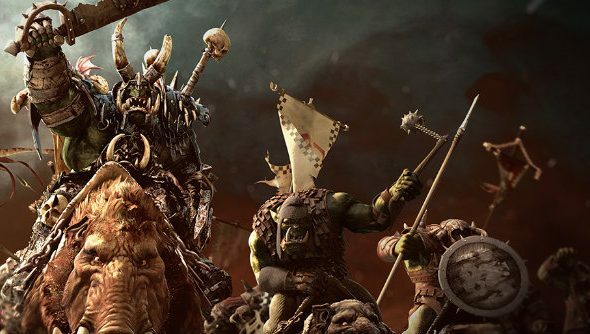 Total War: Warhammer has revealed its post release tactics, laying bare its battle plan for all to see, from generous helpings of free DLC to paid expansions. Sharpen your military skills with our list of PC’s best strategy games. Creative Assembly have a long history of keeping their games refreshed with free content, adding new factions and porting their games to Linux and Mac. You can head over to the blog for a better look at that screen. 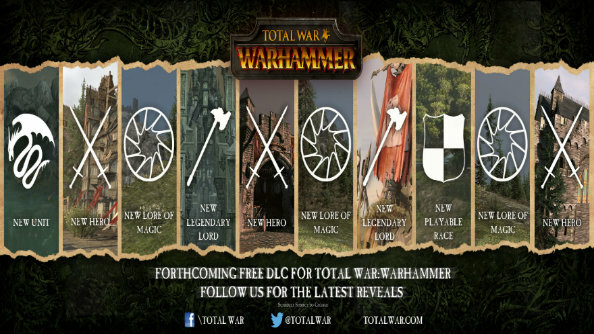 There is also a bunch of paid DLC planned, which will introduce packs for generals, races and more. Lord Packs are themed around specific rivalries or conflicts from the Warhammer lore, containing new Legendary Lords (generals), supporting units and characters for existing playable races. Then there are Race Packs, which add new playable Race to the game, obviously,bringing along new generals, units, items and more with them. Last up are Campaign Packs, which contain a new race and a new Challenge Campaign themed around a massive event in Warhammer lore. Check out the full details on the blog.